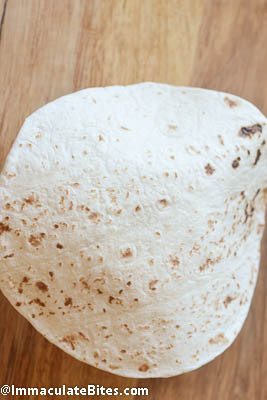 Tortillas have somehow found their place in my household diet. I serve them as replacements for traditional breads. It has quickly become a favorite for my son. 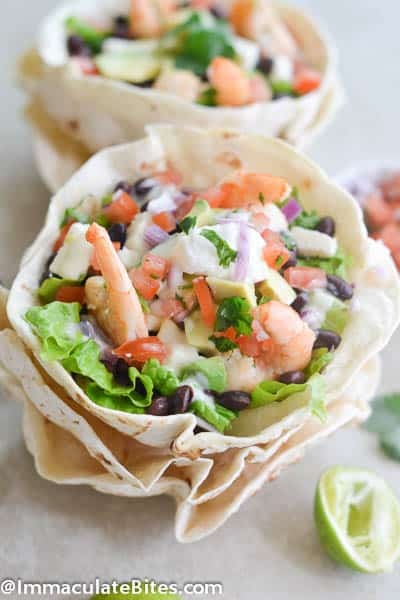 I like to make tortilla bowls or fry them-for an occasional indulgent treat and fill up with a variety of fillings. 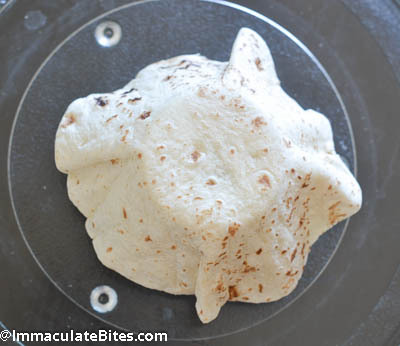 Each person in my house has their favorite way to eat a tortilla. 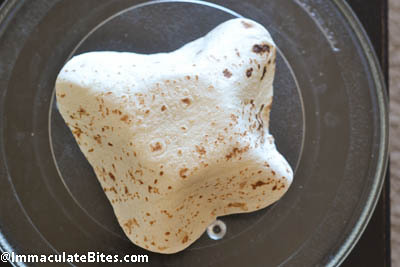 Of course they do change over time as I introduce them to new fillings, tortilla variety, and toppings . 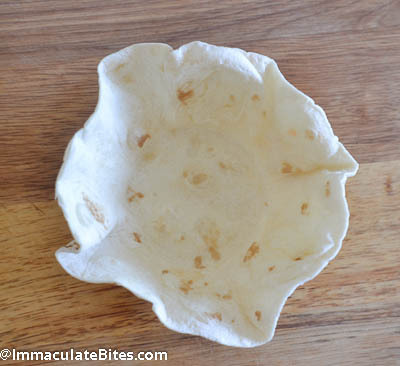 But, for my son his favorite is always- tortilla bowl. He fills them up with fruits, vegetables, nuts and eats up the whole thing! He gets so giddy when he eats up the whole bowl like he is doing something outrageous. The good thing is, it can be whipped up in no time, in the microwave. 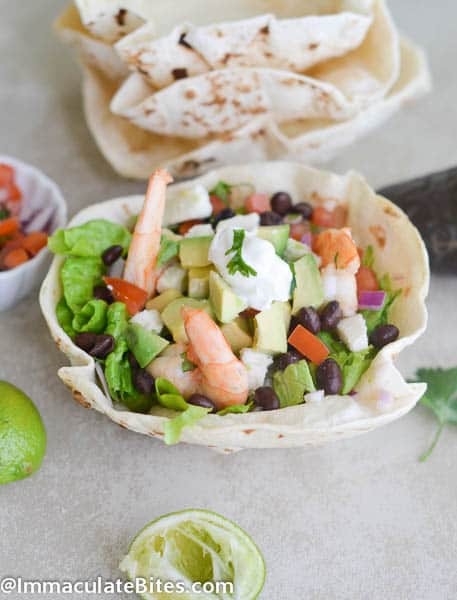 Here is an easy and healthy way to make a tostada or tortilla bowl in the microwave, without having to buy an extra gadget for the house. 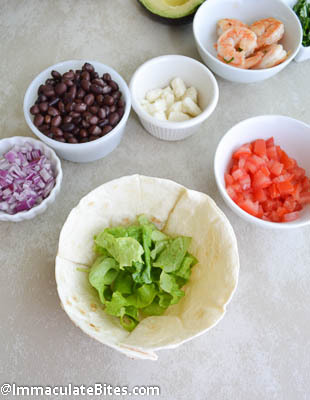 All you need is a bowl, tortilla and oil.Then choose a variety of fillings to put in the bowl to make a tostada salad. 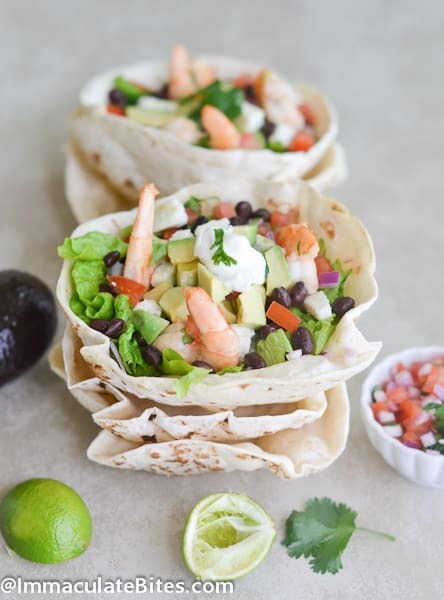 I used salad, avocado, beans, shrimp, tomatoes, onions, (queso) cheese and cilantro. Then I top it with my favorite dressing. Microwave for about a minute. 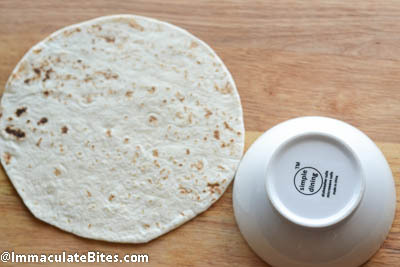 Using an oven mitt lightly press the tortilla up against the bowl again; adjust for even placement on the bowl. 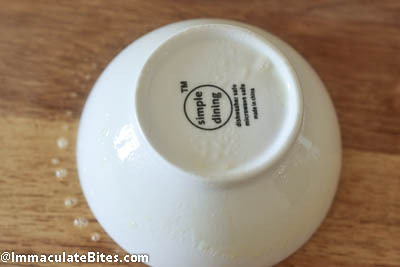 It will firm up and take the shape of the bowl. I have also replaced tortillas as a replacement of bread. I put my tortillas in the oven and they come out crispy. So delicious!!! Damn! I can’t wait to have this. This came out exactly as it looks. It taste better than any I have ever had. Thank you so much. Am glad you liked it Gurica!